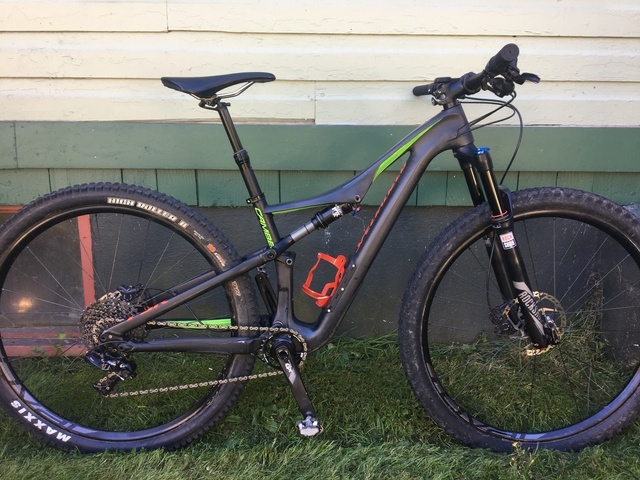 Super fun trail bike that has been mechanic maintained. Carbon frame with dropper seat post. Fancy SWAT frame storage:) Would fit someone between about 5'2 and 5'6 roughly. Please let me know if you have any questions, or would like more pictures.